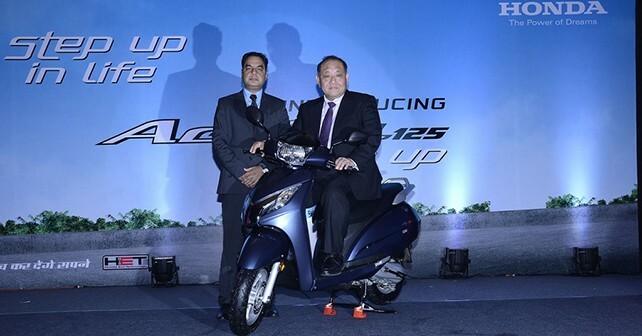 Honda Motorcycle and Scooter India has just launched its first ever 125cc automatic scooter in the Indian market. The new Honda Activa 125 uses Honda Eco Technology to ensure good fuel economy despite the increase in engine capacity. The Activa 125 has a power output of 8.6bhp and 10Nm of torque and also comes with features such as tubeless tyres, 5-spoke alloy wheels, digital meter and viscous air filter. The Activa 125 will be available in 4 colours– Pearl Sunbeam White, Midnight Blue Metallic, Asteroid Black Metallic and Force Silver Metallic - and is available for sale in two variants– Standard and Deluxe. The Activa 125 is attractively priced at Rs. 52,447 for the Standard variant and Rs. 58,156 for the Deluxe variant (both prices Ex-showroom, Delhi).